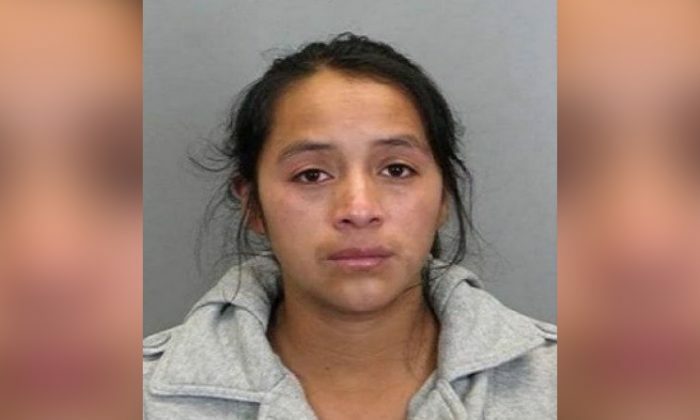 A jury in Virginia found an undocumented housemaid guilty of stealing $5,000 in jewelry from the homeowner, but felt sorry for the criminal, and chipped in to pay her fine. Sandra Mendez Ortega, 19, is an undocumented immigrant. Legally she should not be in the U.S. at all. But she is here, and for a time she had a job working with a house-cleaning company. Ortega was assigned to clean the house of Jeff and Lisa Copeland. While she was cleaning their home, she stole three rings worth a total of $5,000. Lisa Copeland discovered the rings were missing in September 2016. She reported the theft, and police questioned three women, all from the same company, who had cleaned her home at one time or another. At first all three denied knowing anything about the thefts. One of the missing rings was her grandmother’s engagement ring. Another was her wedding ring. The third ring was of little value. Copeland did not even know it was gone until all three rings were returned. Eventually, Ortega’s conscience started to bother her. She returned the three rings and confessed to the police. Ortega, now 19, is pregnant with her second child. She left school after sixth grade. At the time of her trial, she was unemployed. The jury looked at her with sympathy, despite the fact that she was a thief, an illegal immigrant, and had gotten pregnant with a second child despite already having one she couldn’t care for. They voted that she was guilty—but also voted that she should only be fined $60 for her crime. So the members of the jury, who had just found this person guilty of a felony, pulled out their wallets, pooled their resources, and paid her fine. The jurors collected $80, so Ortega actually earned $20 for her day in court. Speaking through an interpreter, Sandra Ortega said, “I became happy when I heard they wanted to give me that (money.) Thank you very much to all of them, God bless them,” she said. Lisa and Jeff Copeland, who hired Sandra Ortega and trusted her with free run of their home, were outraged by the outcome. While she might have come across as a victim to the jurors, there is more to Sandra Ortega than those jurors were able to see. Ortega did spend eight days in jail—but she posted the $1,000 bond required to get out. She might have been unemployed—or not legally employed—but she was not without resources. Lisa Copeland thought the jury needed to look at both sides of the case. “I just pray that they’re never in my shoes,” she told the Washington Post. Copeland said she couldn’t understand why the jury didn’t want to convict Ortega even though she confessed. Copeland was also irritated that the jury was not told that Ortega had posted bond, or that she was in the country illegally. “I think it’s relevant to the case,” Copeland told Fox News. Her husband Jeff Copeland expressed similar sentiments. “It really irritates me that she came here and committed a felony,” he told the Washington Post. The worst part, to Lisa Copeland, was that Ortega did not accept responsibility or apologize. The police said that they had Ortega write a letter of apology, but Copeland said she never received any apology, written or verbal. Do you think the jury did the right thing? Do you think the jury’s action sends the right message? What woudl you have done? Post your comments below. If you liked this article, consider sharing it with your friends.